This black SUV has an automatic transmission and is powered by a 2.5L H4 16V GDI DOHC engine. With that economical motor it gets 9.0 L/100 km in the city and uses just 7.2 L/100 km out on the highway according to Transport Canada. We've discounted this vehicle $1292. See dealer for details. 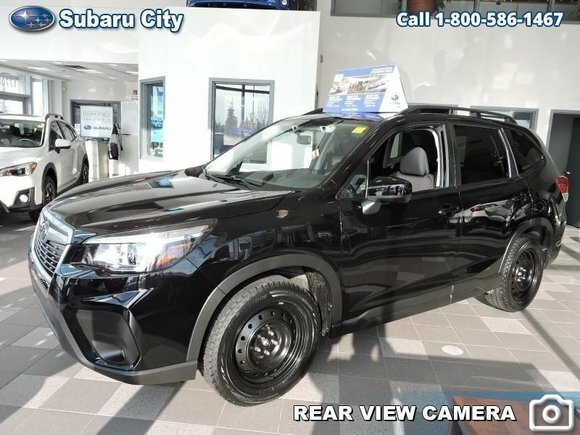 Want to try the 2019 Subaru Forester Convenience Eyesight CVT WINTER PACKAGE INCLUDED?